Medicare Set-aside Certified Consultants (MSCCs) are certified by the International Commission on Health Care Certification (ICHCC). The Medicare Set-aside Consultant Certified credential is designed to identify those professionals who work within the workers' compensation benefit system as either a health care professional, legal representative, or as an insurance claims adjuster, who have achieved specific pre-approved training in Medicare set-aside trust arrangement and have demonstrated a breadth of knowledge regarding the development and application of the Medicare set-aside trust arrangement process. 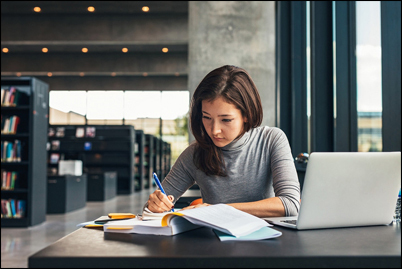 To maintain certification, MSCCs must renew their credentials every three years by either retaking the examination or completing required continuing education units (CEUs). For the CEU renewal option, MSCC certification renewal requires 15 hours of CEUs that must be completed within the three-year period. A minimum of five hours must be in ethics courses. AAACEUs is a PACE provider, and all our courses are pre-approved as continuing education courses for MSCC certification renewal. We provide many options for MSCCs who are seeking flexible, convenient options for their required CEUs. Bundled course options are an affordable and convenient choice to renew your MSCC certification. Courses are available in 80 hour, 50 hour, and 30 hour bundles, which are pre-selected and added to your account upon purchase. The courses in each bundle cover a wide range of topics and vary in length from 2 to 10 hours for each course. All course bundles include the required ethics education hours. Bundles are also the most affordable option, reducing the cost the less than $2 per credit hour. Once purchased, all courses are loaded into your account and will remain available for 18 months. Please click on the links below to learn about the bundled courses available for MSCC certification renewal. Another option for MSCCs to get their continuing education is an unlimited CEU subscription. Subscriptions give you access to 110 courses totaling 725 hours. You are empowered to choose the courses that meet your professional needs. A subscription is an ideal selection for those who prefer longer courses and wish to tailor their courses to their individual practice. To learn more about our subscriptions, click on the links below. We have 27 courses totaling 172 hours pre-approved for MSCC certification renewal. To view all available options in our course catalog, click here. If you are searching specifically for courses pre-approved to fulfill the ethics requirement, AAACEUs has you covered. We have 4 courses totaling 24 hours of pre-approved ethics courses available. To view our ethics course selections, click here.